The fragrances La Femme Prada and L'Homme Prada from 2016, as the new perfume pillar of the Prada house, gets two new versions in October 2018 - limited editions La Femme Prada Absolu and L 'Homme Prada Absolu . L'Homme Prada Absolu is an oriental-woody composition in which the signature Iris note is combined with spices and citrus in the opening, and cedar and amber in the drydown. Intensity of iris is supported by aromatic and floral accents of geranium and neroli. I’m definitely going to check this out as soon as it’s available. It sounds great, and the entire line has been really well done so far. Love the look of the bottle too! Will at least give it a try when it hits my area. I think Prada wants their L'Homme to have the more flankers than other houses' L'Homme. They still got a ways to go before catching up to YSL. Love the original, but skipped the next 2. Will definitely try this one though. Well if the quality of this one is similar to Infusion D' Iris Absolue this is a must have! The designer world numbing us with even more chem clouds. The fact that a lot of major houses nowadays follow a similar routine (new release, l'eau /sport, edp, absolu) tires me quite a bit. However I have to say the notes on this one do look good. 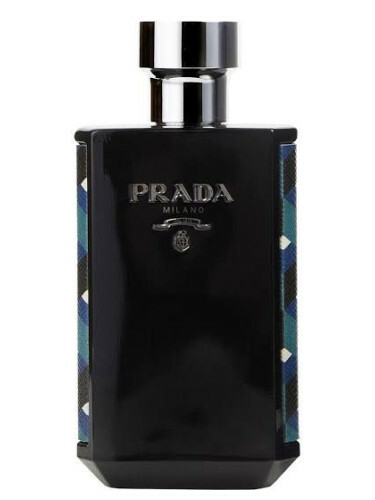 I sniffed the original Prada L'Homme in passing today at Sephora (on a test strip) and was pleasantly surprised. I saw it on the shelf and remembered reading this thread, and I was like what the hell, let's try the one that inspired all these flankers. I immediately got a Dior Homme EDT without the lipstick meets Lanvin Arpege Homme. Iris + powdery candy sweetness. No clue how it develops on the skin, but it was intriguing enough, especially since Arpege is discontinued. I never really liked the Prada releases that came before this, but I think I'm going to get samples of this entire line and give them a proper demo. I was also recently very impressed with Prada L'Homme and the Intense. I bought full bottles of both. This limited edition looks promising, if it will be available here at all. Actually Kicks in Oslo got this already in August before I could find any information online! Maybe they have it at others Kicks stores in Norway too. Love the design on the side of bottle- looks like a shirt Pablo Escobar would wear. I wasn’t impressed with Leau and at first liked the intense then didn’t. So will wait to smell first. Limited until it's not is my bet. Good to see flanker-frenzy is alive and sleep-walking. Anyone have news on the US release date? My bottle arrived this morning. I've had it on for about an hour now and am loving it so far. This, to me, stays quite true to its namesake, as it's immediately recognizable as an iteration of the original. There is both a freshness and richness to it, as the overall vibe of the original is present, yet deeper and smoother. The original's iris, neroli, geranium, amber, cedar and pepper are clearly present, but finely blended with a more prominent cardamom, rich amber and a beautifully integrated mandarin that helps smooth the transition early on. This feels like a high-def version of the original and is easily my favorite of this line already. I haven't spent much time with the intense version, however, and this now has me interested in re-visiting it. If you're a big fan of this line and have the opportunity to check this one out, I definitely recommend it. This is good to hear as I really enjoyed the original!! Any word on when/if this is coming to the states? Prada Amber Pour Homme or Prada Infusion D'Homme?